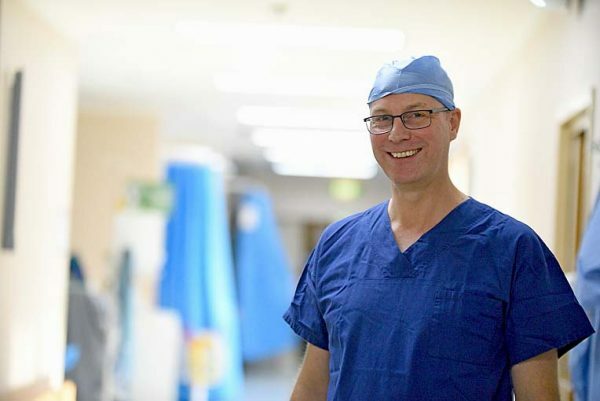 MOUNT Gambier resident general surgeon Matthias Wichmann is the toast of the state’s medical fraternity after being awarded with a prestigious award. In a surprise announcement at Mount Gambier Hospital on Wednesday, Associate Professor Wichmann was presented with a Royal Australasian College of Surgeons (RACS) Outstanding Service to the Community Award. Mr Wichmann – who has been a pivotal specialist as well as a key educator and supervisor of medical students – has been honoured for his “extraordinary” South East health contribution.